Cute birthday toasts should make the birthday boy or girl and your audience think "oh, that's so cute" — not trigger their gagging reflex. That's why the toasts here are low in sugar and high in fun. Rest assured that the toasts on this page have the right amount of cuteness to charm your loved one celebrating a birthday and your audience, especially if they expect you to be cute with your birthday toast. Just how cute should you be? That depends on your inner cuteness barometer, which tells you how much cuteness you can tolerate. 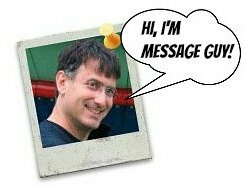 If you need some helpful hints, take a minute to read the Message Guy Tip right below. One person's “aww so cute” is another person's "I think I'm going to be sick." If you feel cute birthday toasts are the way to go, pick one that strikes a balance between "cute" and "sweet." Don't choose a toast that oozes sugary-sweet cuteness. The best route? Aim for a slightly cute toast that truly expresses how you feel about the birthday boy or girl — with a sprinkle of sugar and a dab of honey. Now was that cute or too cute? You decide. You're the one who has to stand up and deliver this toast. Some friendships are as good as gold. Most tarnish with age. Only a few can be considered priceless. You're priceless. Happy birthday to a true friend. Here's to your birthday. May it be sweeter than all the gummy bears, jelly beans, candy hearts and lollipops in the world. May you find a pot of gold at the end of every rainbow — and may it be filled with all the love, luck, laughter, light and lollipops you can take...today and always. Happy birthday! Here's to the sweetest of the sweetest sweethearts. You're so sweet that I just want to blow my diet and eat you up every time I see you. Happy birthday, sweetie. As you go through life, always remember what Oscar Wilde once said: "Moderation is a fatal thing — nothing succeeds like excess." Happy birthday! In the great words of Lord Byron, "Man, being reasonable, must get drunk. The best of life is but intoxication." Now let’s get totally unreasonable and drink up. Happy birthday! This toast has a special quality. Basically, it has the perfect balance of cute, adorable words. 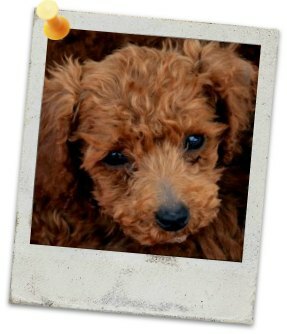 And just like the photo of the puppy at the top of this page, it says "hug me." A hug is exactly the kind of response you want from your audience. 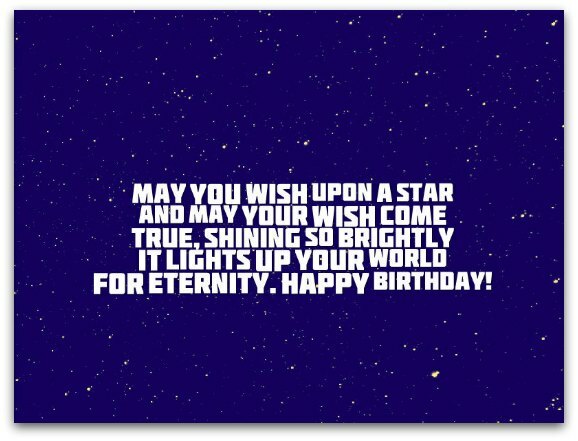 May you wish upon a star and may your wish come true, shining so brightly it lights up your world for eternity. Happy birthday! Haven't found what you want yet? 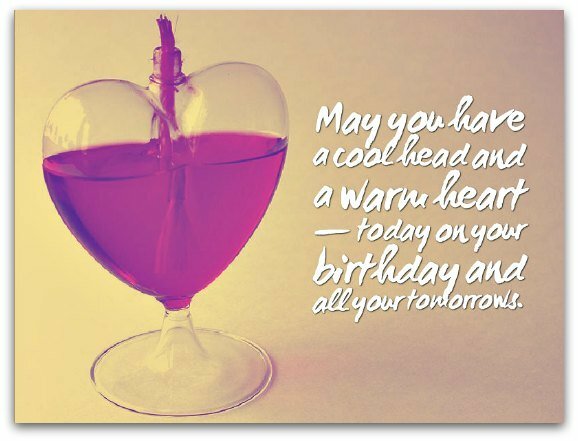 May you have a cool head and a warm heart — today on your birthday and all your tomorrows. Today and every day, it's always been you and me against the big bad world. Nobody can tear us apart. We're like one big Reese's Peanut Butter Cup. And just as delicious, I might add. Happy birthday, my oldest and dearest friend. I've always heard that when you get over the hill, you start to pick up speed. I guess you're clocking around 90 miles per hour about now. Happy birthday, you old geezer! You're my favorite treat, no contest. I like you more than chocolate cake, even with chocolate icing. That makes you even more delicious than chocolate icing! No matter how you slice it, that makes you pretty sweet. Here's to the sweetest treat in my life. Happy birthday! It’s your birthday and you shouldn't feel guilty about celebrating. Even the bible says, “Eat thy bread with joy, and drink thy wine with a merry heart.” Ecclesiastes 9:10. So drink up! Yes, you've just hit a new high age-wise. Yes, it's a great time in your life. What more could you wish for? Maybe 10 to 15 years off your age? Happy birthday! Here's the wishful thinking. Let’s party. It’s your birthday, after all! Remember the old Irish adage: "Drink until the sun comes up. Drink until the sun goes down. If you drink on both occasions, you will never wear a frown." Time marches on! Now tell us the truth — where did you find the fountain of youth and why are you keeping it all to yourself? Happy birthday! We all know that life can be difficult but your birthday will be anything but hard. That's because your birthday wish is about to come true — yes, I plan to give you the biggest hug and kiss ever! Happy birthday! Now come and get your hug and kiss!...Who's next? There's a right way and a wrong way to deliver a toast! When you deliver a toast, there are a few simple rules to follow. I just found a good article with some very helpful hints on delivering a good toast. Click here to read the article. It's worth your time.